Our cars are our pride and joy. Putting a little bit of extra care and effort into maintaing your car’s appearance on a regular basis will mean that it will continue to look good in the long run, avoiding things like rust, scratched paint, and shabby interiors. Here, we give you some pointers on keeping your ride spick and span, starting with a good coat of wax. A pre-wax cleaner is a handy product which will thoroughly deep clean the paint and remove any residue or dirt that regular washing may have missed. Be sure to follow the instructions on the bottle carefully. With a damp cloth or the applicator that came with the product, apply the wax one panel at a time so you don’t miss any spots. Wait a few minutes for the wax to dry, then use a smooth cloth to buff the wax on each panel. How often should you reapply wax to your car? Depending on which kind of wax you use, this will vary. Synthetic wax lasts longer than organic wax – organic wax can last one to 12 weeks, while synthetic can last from one month up to one year. This will vary even further depending on what your car is exposed to, so it may be worth speaking to a car professional about this. Wash your car in the shade, or on a cloudy day. When you’re washing your car, make sure you don’t do so in the sun – the heat may make any water and soap suds evaporate and dry quickly, leaving spots and dried soap all over your car (not a good look, and a hassle as you’ll have to repeat the whole washing process again). You’d be surprised at how much dirt, dust and other rubbish accumulates on the floor of your car, even if you take care to keep it clean. Pull out all your car mats, shake them off thoroughly, and vacuum them before going over the rest of the car with the vacuum head removed. You’ll be surprised at how much more fresh and clean your car will look afterwards. As well as taking good care of your car yourself, getting your car a professional clean, detail and service every year is an important part of maintaining both the appearance and general wellbeing of your car. If the whole thought of taking this much care of your car fills you with dread there are other options available. John Hughes can supply a range of ULTRA PLUS products that enhance your duco, protect your interior and offer you the driver added protection. After initial application, paint protection and fabric protection can be maintained annually via an Ultra Plus annual inspection, this saves you a whole lot of time and gives your car a whole lot of TLC. Whichever way you go the effort will be worth it, even when applied to an older used car it can make a huge difference, what was once old can be (almost) new again. 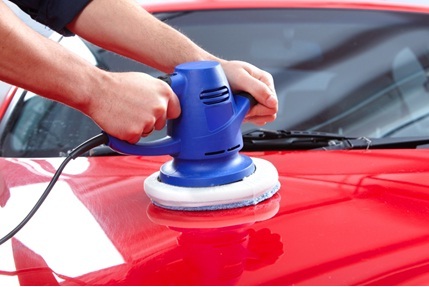 What are your best tips for looking after your car’s appearance, inside and out?